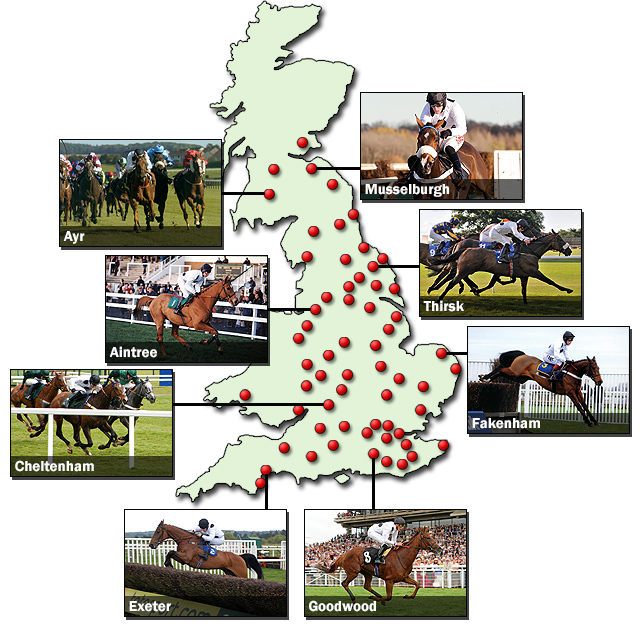 Elite Racing Club has had a runner at every current racecourse in Britain. There are no travelling restrictions placed on our trainers, giving them free reign to find the best opportunities for the Club's horses throughout the country. While many members enjoy watching the action on television at home, every member in the country has the opportunity to see the horses compete in the flesh, due to our nationwide policy. The future may bring an Elite Racing Club runner to your local track. Club horses have raced at some prestigious meetings abroad, visiting countries such as France and Ireland, as well as further afield to Canada, Japan and Hong Kong. In 2014, Ribbons ran at Longchamp on Arc day, coming within a neck of winning the Group 1 Prix de l'Opera having won a Group 1 on her previous start, at Deauville also in France. The beautiful homebred filly also raced in Ireland during her career, winning the Group 2 Blandford Stakes at The Curragh in 2015. Dandino was another star homebred to travel the globe. Second in the Grade 1 Canadian International, he also ran in Tokyo, Hong Kong and Germany during his career in Elite Racing Club colours. Marsha raced twice at Dundalk in Ireland in 2015, winning her first start on foreign ground before being placed third in a Listed race. She later recorded the Club's SEVENTH Group 1 win. Other past runners to cross the water include champion mare Soviet Song, who ran in France as a three-year-old and later recorded one of her five Group 1 wins on Irish turf, Border Patrol, who ran on multiple occasions in France and also in Ireland, and Eisteddfod, who won the Group 3 Prix de Meautry in Deauville in France. A trip overseas to watch a Club horse race can be a fantastic experience and our Club members based abroad are always thrilled to welcome a Club runner to their country.